Illegal investment schemes offer high returns in a short period of time. KUALA LUMPUR: The Royal Malaysia Police have called on the victims of illegal investment scheme to come forward and lodge report to facilitate investigations and to bring action against the culprit. 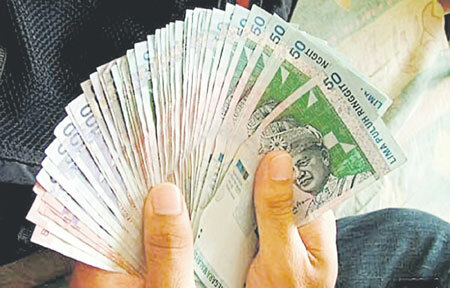 Bukit Aman Commercial Crime Investigation Department (Syndicated/Credit Card/E-Card) assistant director ACP Adlan Ahmad said most victims refused to lodge a report because of embarrassment, they were promised good returns on their investments and they considered it as small losses. “Less than one per cent of the victims of the scam have come forward and lodge police reports…and this made it difficult for the police to conduct investigations,” he said in an interview on the ‘Ruang Bicara’ talkshow over Bernama News Channel (BNC) here last night. Adlan said most illegal investment schemes would offer high returns for small investment in a short period of time. “They (scheme organisers) are also exploiting people with high positions, professionals, celebrities and politicians to attract people to participate in the investment. There are some who used fake letters such as from the Domestic Trade, Cooperative and Consumerism Ministry to make them believable,” he said.